BBL action resumed following the international window and there were more impressive performances to kick-start March. The reigning MVP makes his fifth appearance of the season after putting up a BBL career-high of 31 points against Surrey. Robinson shot 9 of 12 from inside the arc, made 100% at the line in seven attempts and also finished with five assists to help the Lions to another home victory. Spencer joins his back-court partner after a strong showing in the Lions’ victory over Manchester Giants on BBC Sport. The young guard handed out a career-high 12 assists to go with 19 pints in the home win as well as adding three steals to complete his performance. Allen-Jordan returns to the lineup for the first time since making two appearances in the first five weeks of the season. 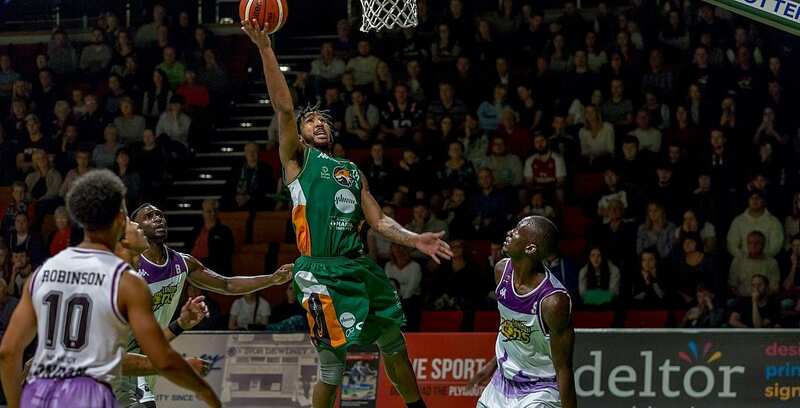 The Phoenix forward posted 26 points including going 9 of 9 inside 3-point range, whilst pulling down 12 boards and adding three assists as well as four steals in his side’ win over London City Royals. Another impressive all-round performance from the two-time Molten BBL Player of the Month this season secures his place in the lineup once again. Nicholas finished agonisingly short of a triple-double after posting 16 points, 15 rebounds and nine assists in the win at home to Surrey Scorchers. After putting up 34 points in a road defeat on Saturday, Hassan continued his fine form with 29 points along with 13 rebounds in a convincing home win. The American forward shot 60% from inside the arc to help his side to a 108-89 victory and make another AS5 appearance.